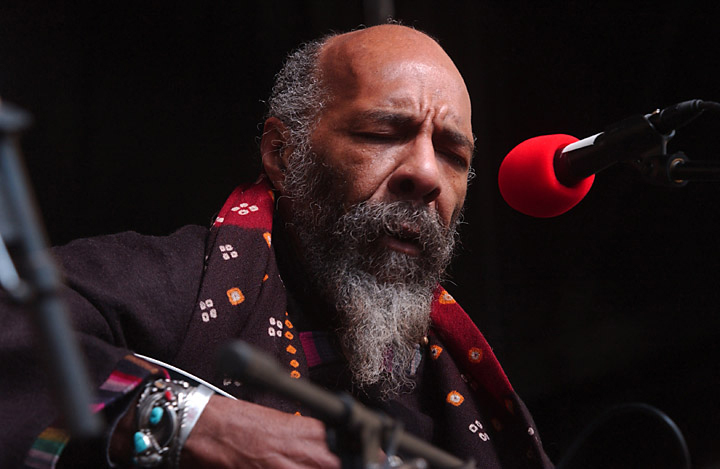 I photographed Richie Havens back in the Winter of 2003 on the Upper East Side of Manhattan, during one of the largest anti-war demonstrations against the Iraq Invasion. Havens (72) passes away in Jersey City, NJ on Monday. He was well known as the opening act at the 1969 Woodstock Music Festival, where he played for newly three hours. ~cg. This entry was posted on Thursday, April 25th, 2013 at 10:25 AM. It is filed under Personal Work: and tagged with demo, new york, nyc, richie havens. You can follow any responses to this entry through the RSS 2.0 feed.